No one is more excited about the holidays than the favorite kid(s) in your life. And, sure, they enjoy the food and the parties, but, really, it’s all about the gifts. 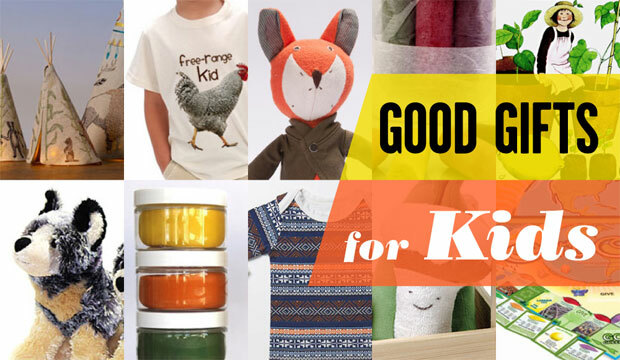 Skip the plastic toys this year and treat them to one of these great gifts from designers and brands that care about what kind of world our children grow up to live in. 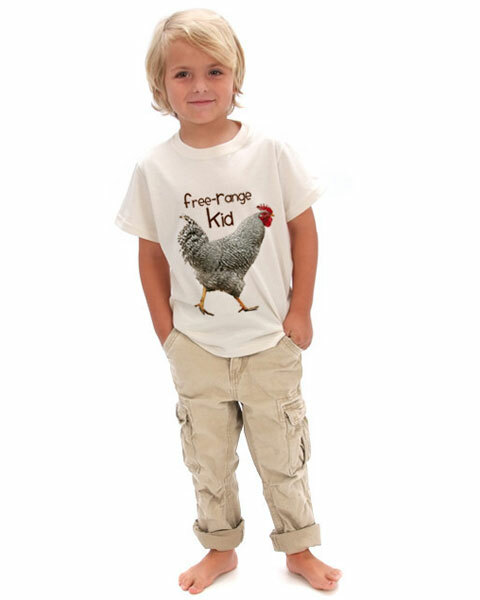 We like our eggs free range, how about our kids? Something tells us they like to roam freely in the garden as well, perhaps wearing this stylish tee. Seedling Kids, founded by a mom/metalsmith, uses certified organic cotton grown in Texas, cut and sewn in Pennsylvania and printed with low-impact vegetable dyes for all their cute styles. This set of adorable organic cotton veggies will make your kid look (and feel) like they came straight from the farmer’s market. Made and stuffed with 100% organic Egyptian cotton, they’ll encourage children to develop a (much-needed) positive attitude towards vegetables. 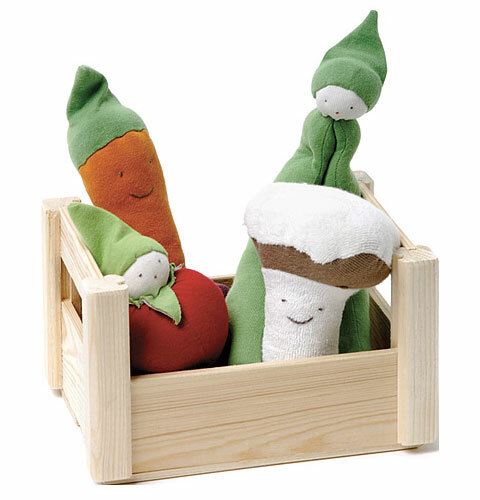 The natural wood veggie crate holds four veggies — tomato, carrot, mushroom and green pea — all washable so toddlers can chew on them while teething. Our favorite organic underwear label has finally started making babywear, and we’re very excited. This limited edition gift set contains a super soft organic cotton onesie and cozy pair of matching socks, all wrapped up in a cute paper box made from FSC controlled wood (in a factory powered by wind energy) and printed with vegetable based inks. Remember how much fun you used to have playing with dough? This kind is handmade with all good stuff, like natural and organic fruit, plant and vegetable extracts from annatto seed, beets, blueberries, carrots, paprika, purple sweet potato, red cabbage and spinach, flour, salt, cream of tartar, organic rosemary oil, vitamin E oil, soybean oil and coconut oil. Perfect for letting imaginations run wild. “Owen loves to go to his secret tree house and practice his dance moves. He says he’s such a nimble dancer because he has a low center of gravity. But the other animals, who have similarly low centers of gravity, say he just has a lot of energy.” Made from organic cotton fleece, Owen’s eyes, nose, and whiskers are hand embroidered with cotton thread. 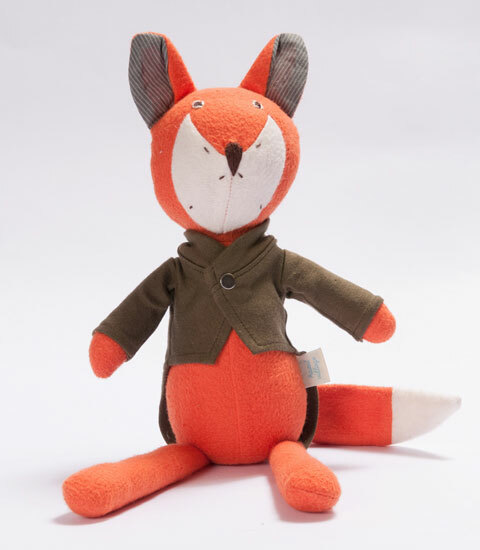 His dapper tailcoat is made of dark green organic cotton jersey and, if you want, you can dress him up in a tuxedo for New Years. What does the fox say? 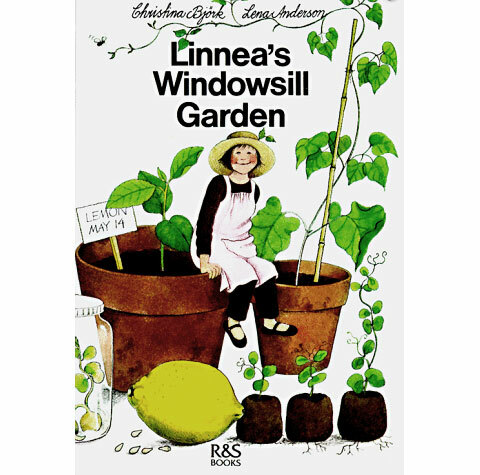 In this wonderfully illustrated book, a little girl named Linnea takes readers on a tour of her indoor garden, tells us about her orange tree, shows how to take a cutting from a Busy Lizzie, and how to trim an avocado plant. It’s a great tool for teaching kids about caring for living things and, hopefully, inspiring them to start a small indoor garden of their own. 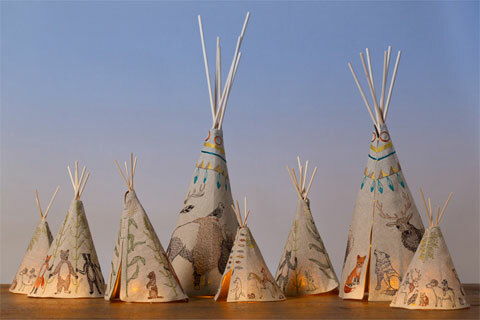 Storytime will be just a tad sweeter with one of Coral and Tusk’s lovely tipis beside the bed. Embroidered (on 100% linen) with animals both large and small — from a pint-sized prairie dog to a majestic buffalo — it casts a soft glow, courtesy of a battery-operated votive. Three different sizes are available, but we like the cuteness of the smallest one. Because drawing on the sidewalk will always be fun. 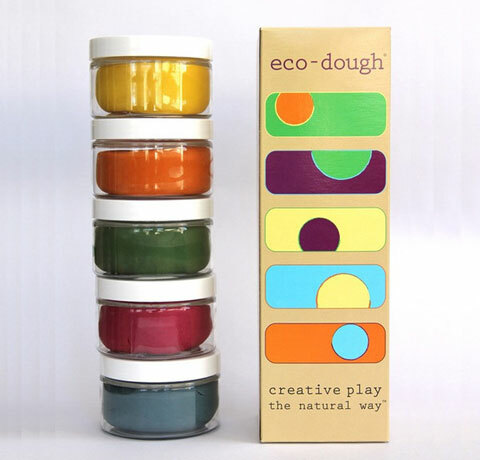 The chalk in this set are completely safe, non-toxic, and edible if ingested (although eating it is not recommended). It is also vegan and doesn’t contain lead, wheat, sugar, preservatives, dairy, gluten, casein, or soy. 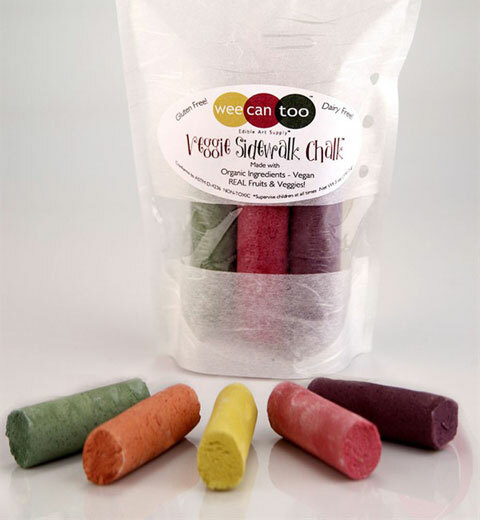 Veggie Sidewalk Chalk comes in 5 organic colors: Green, Yellow, Orange, Pink, and Purple. Because kids tend to want to use their presents right away, this one is probably best suited for those who live in warmer climates, where the streets are not covered with snow. Playing Monopoly is a time-honored family tradition, but what’s up with the ruthless capitalism? 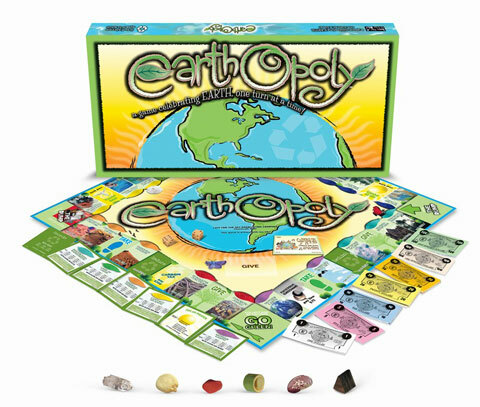 Earthopoly turns it all on its head, making players caretakers of wondrous locations around the earth, and increasing their property value by collecting carbon credits and trading them in for clean air. The game board is printed on recycled cardboard and printed with vegetable-based inks. Choose your (all-natural) token and advance to Go Green! Ever feel like the kids behave as if they were raised by wolves? That may actually not be a bad thing. These amazing social animals live as a pack and play, eat and relax together — much like we do with our own families during the holidays. 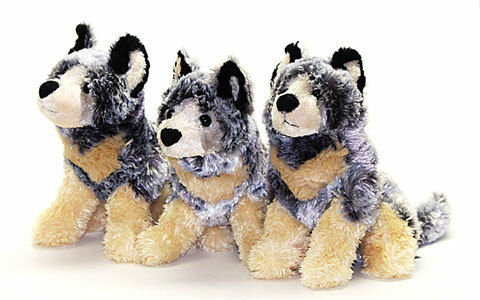 Adopt a wolf (or a pack) and help protect and ensure a lasting future for wolves in their natural habitat. You get a certificate, a photo of a wolf and a plush toy to give to your favorite little wildlife defender.